Whether you’re developing luxury condos or a rental community, Serious Audio Video is your single source provider of complete technology systems. Eliminate the need to hire multiple tradesmen, where coordination can be cumbersome. 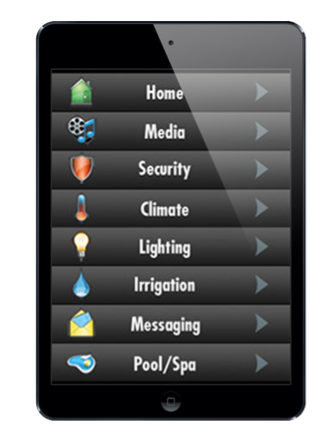 We provide simplified controls for complex systems that manage security, CCTV, lighting, HVAC, drapery, irrigation, pools, spas and media. Automating systems with high energy demands helps reduce energy consumption. Serious Audio Video provides conservation without frustration. In a massive survey of 22,000 homebuyers, done by John Burns Real Estate Consulting, an overwhelming number of respondents said they were looking for homes with smart home amenities. The Consumer Electronics Association polled the National Association of Realtors; 93% reported working with customers who wanted a monitored security system, 89% who requested distributed audio/video & 51% who requested energy management systems. ** Over half of the homebuyers surveyed said they are willing to pay more for smart homes with integrated controls and security features already installed. The time tested reliability of an integrated system from Serious Audio Video positions your development as a desirable residential community. Build a modern building for modern living. According to the Consumer Electronics Association and the National Association of Home Builders, pre-wiring for security, high speed communications, entertainment and smart home automation can increase a home’s selling price by as much as 5%. As an example; a $5,000 investment in pre-wiring a $500,000 condo stands to gain a $20,000 R.O.I. Stand out among the competition by wiring for smart home technology. Modern home builders who build homes wired for modern technologies sell more homes faster than their competition. The NY Times reports, wiring for smart home technology drastically increases the marketability of a property. Many realtors report the increased desire for energy efficient homes. Smart thermostats & integrated lighting controls are the two most popular components to reducing a home’s carbon footprint. The Sheldon Group reports, 80% of home buyers surveyed said the home’s energy efficiency effected their buying decision. The most attractive aspect of a pre-wired home is the ability to gradually install home subsystems. A new homeowner can build the Smart Home of their dreams over time, adding new subsystems as his/her lifestyle changes and their budget allows. By wiring for security, high speed communication and home automation you increase the appeal of each unit and make a strongest impression. Distinguishing your property from others on the market is essential in selling quickly and getting the price you want. ** Smart homes are no longer a niche luxury market. According to Realtor Magazine, Americans who make $50,000 – $100,000 annually are looking for smart home technologies as much as more affluent homebuyers. 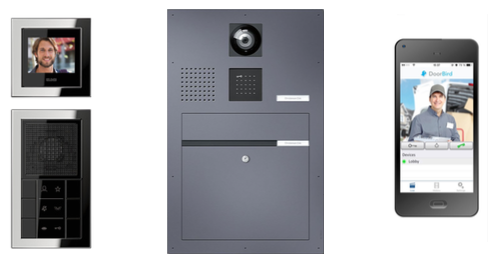 An Access Control system is a building’s first and most important security feature. HD cameras, two- way communication, smart- phone alerts, limited access fobs or numeric codes make admit- ting guests and receiving packages easy while giving residents total peace of mind. Added convenience that drastically improves a tenant’s lifestyle. Sleek and stylish components with user-friendly interfaces drastically increase the curb appeal of a multi-family dwelling. Whether developing condos or rental units, think of the access control system as the building’s calling card. The access control system is the first impression a building makes. Set your building apart with a modern, stylish and fully functional access control system, intercom, letterbox and doorbell. The technology & design should blend seamlessly. Modern access control stations make a statement about the building, make residents feel safe and make their life easier. Admit guests, dog walkers, cleaning services, repairmen and accept deliveries from upstairs, across town or while on vacation. High-res cameras with two-way communication give you the option to answer the doorbell from anywhere. Serious Audio Video’s turn-key services consist of infrastructure, components, installation & maintenance. In every conducted survey, the security features are the most attractive aspect of a new building’s integrated system. Our clients rest easy knowing they protected their investment with detail oriented fail safes to keep their property and businesses secure. When developing a new multi-dwelling unit you have a unique opportunity to make security a foundational element. Position your building as safer and more secure than your competitors. Security features are not a vanity expense. We understand that developers have a lot to consider when building a new multi-family dwelling but, when 70% of homebuyers say they prefer homes with pre-wired security features, can you really afford not to install them? Stylish common areas with smart amenities create an atmosphere that attracts residents who are looking for a sense of community. Lobbies, garages, theaters, bike rooms, mail & parcel rooms, gyms, game rooms, business centers and media rooms make your building feel more like a neighborhood. By adding smart automation to your common areas, you effectively help your management and HOA streamline their daily tasks. Create the lifestyle today’s home buyers are looking for, make it easy for residents to reserve space, play music, dim lights, track tness progress, entertain guests and stay organized. An energy ef cient integrated system will also help eliminate the cost and responsibilities associated with manually operated systems. ** Modern technologies are consistently listed as the most desirable amenities people are willing to pay more for. Trulia lists screening rooms, game rooms, gyms and outside spaces that have entertainment options as the amenities commanding the highest asking prices, nationwide. Serious Audio Video only uses thoroughly tested and reliable weather proof components that are certified by the Consumer Electronics Design & Installation Association. The durability of our outside systems is a testament to the partnerships we’ve developed. Each system is painstakingly designed to ensure all hardware and infrastructure are out of sight/out of mind when not in use. The technologies blend with the decor, seamlessly. 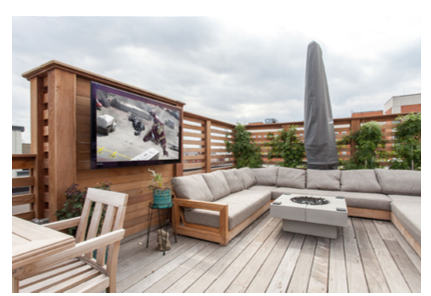 According to ProBuilder.com, comfortable outside spaces are a top must-have amenity for urban developers. Something as simple as easy-to-use outdoor lighting and music make a building drastically more attractive to renters or homebuyers. 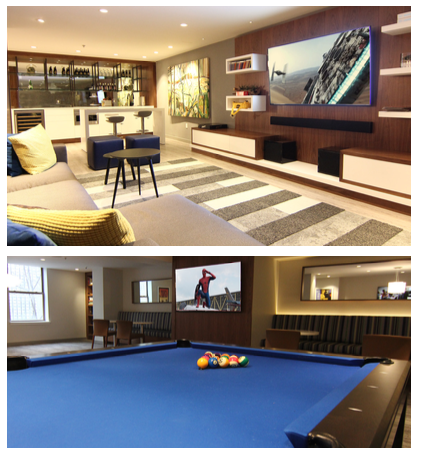 One of Hoboken’s most desirable rental communities, we out tted the common areas with a host of smart amenities and entertainment options. The lighting, music, TV & scheduling are all easily controlled with strategically placed Elan touch panels in the bar, home theater, game room and business center. The lobby, library, residents’ lounge, children’s play room, pool area, re pits, outdoor theater and game room are out tted with a number of user-friendly smart features. Designed to give renters all the amenities of luxury condo living with security features that give them total peace of mind. 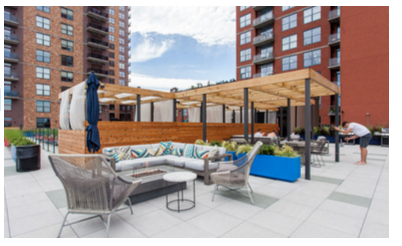 The penthouses at the W Hotel in Hoboken were designed to enhance even the busiest lifestyles. Working in tandem with interior designers and various tradesmen, we were able to create truly unique living spaces with user-friendly controls easy enough for the kids and grandparents. Safe and secure in Hoboken’s urban jungle. The developers of this luxury multi-dwelling had a goal of creating a totally secure building and CCTV system. Security is a primary concern for homebuyers today and this detail oriented security/CCTV system leaves no stone unturned, making residents feel safe. 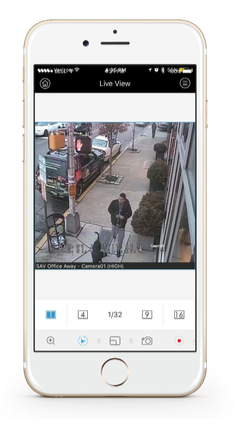 Hoboken’s Tribeca West features a robust security package including a fully integrated CCTV system. Each of the 14 condos were pre-wired for a variety of advanced smart home amenities; including security, high speed communications and media. Due to the enhanced marketability the units moved fast. 2007 Community Builders’ Association Award of Excellence Winner, located in Jersey City’s bustling arts district. The fitness center, lobby, access controls and each of the 82 units were wired for a range of smart home amenities, giving homeowners the option to customize their smart home system. The former Lipton Tea manufacturing plant in Hoboken, converted to luxury condos on the bank of the Hudson River. The residents’ lounge, pool, gym, children’s playroom, sports den and courtyard were integrated with seamless and user-friendly controls that enhance comfort and safety. The developers put security first. Each of the units at Hoboken’s Fields Crossing is pre-wired for high speed data communications, security features and multi- room audio & video. The building’s garage and entry points are also equipped with advanced security options that give homeowners added peace of mind.